Dr Dorone Paris is an Israeli-born contemporary composer and a professional saxophone player, living & working in Ireland. Dorone studied music and philosophy as BA degrees at the University of Haifa in Israel. Following her BAs she continued her musical journey in the UK where she studied for a Master's Degree in Composition at the University of Leeds and later on moved to Cork Ireland to complete her doctorate studies. Being raised and educated in Israel influenced her political ideas and affected her musical creativity, aesthetics and philosophy. She is the founder of PATH art: an organisation dedicated to convincing her people that a peaceful coexistence between Jews and Arabs in Israel-Palestine is both possible and necessary. She is also the co-founder of Art Equality; a non-profit organisation and an activist movement for equality and feminism that offers support to artists whose work concerns gender equality. Her music has been performed by groups such as Opera North, London New Wind Festival ensemble, LS2 ensemble, The New Haifa Symphony Orchestra, Meitar Ensemble, in venues such as London's Regent Hall, Leeds Grand Theatre, Mahmoud Darwish Cultural Centre, Madina Theatre, Rappaport Centre Israel, The Word's Voice Festival, Ramallah Contemporary Dance Festival, The Israeli Music Festival and others, throughout the UK, Ireland, Tunisia, Netherlands, Germany, Serbia, Bosnia, Israel and Palestine . Dorone was composer in residence for the Focam group in 2011-2012. 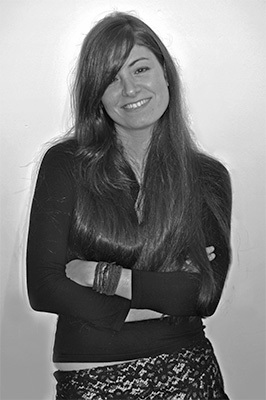 Dorone currently lectures BA and Masters students in UCC and runs private music lessons from her home studio in Dublin. She has also presented papers and workshops in international festivals such as BlasFem Bosnia, Southampton UK, Berlin Germany, Leiden Netherlands, Vox Feminae Israel and many more. Dorone's relentless passion and artistic drive coupled with her fascination with musical colour and listening intensity delivers rich & textured soundscapes that are both sonically unique and exceptionally provocative.